Plan A Amberwood - 1 Bedrooms, one level, 1 Baths, 852 square feet of living space with one car garage. Plan B Cedarglen - 2 Bedrooms, 2 Baths, 1,006 square feet of living space and one car garage and one carport. Plan C Greenbriar - 2 Bedrooms, 2.5 Baths, 1,056 square feet of living space and one car garage and one carport. Plan D Heatherside - 2 bedrooms, 2 Baths, 1,167 square feet of living space and one car garage and one carport. Amenities are abundant including tennis courts, green parks, club house, Lagoon, association pools and spas. Residences can enjoy the use of both north and south Lagoons and club houses. They are great fun for all season for the families. Master Homeowner's Association is Woodbridge Village Master Association managed by Woodbridge Village Master Association located on 31 Creek Road Irvine California. Their contact number is 949-786-1800. Approximate HOA due is $255 per month. 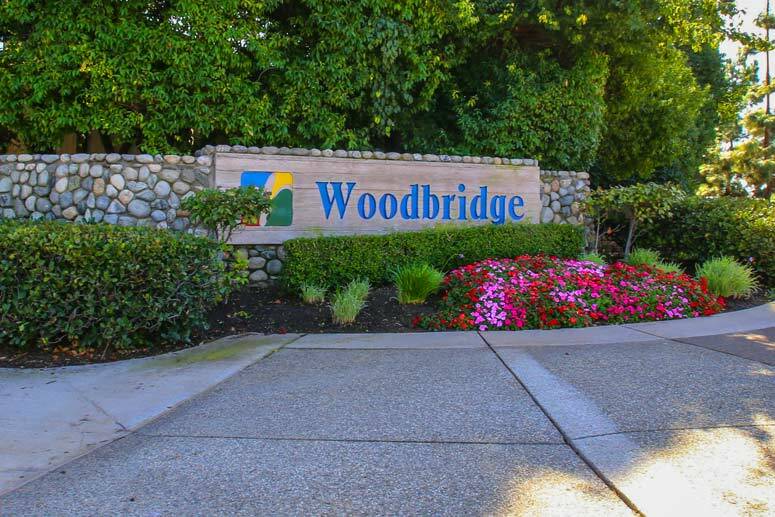 The Sub-association is Woodbridge Laurels Maintenance Association managed by Association Management & Support Services, Inc. located on 14780 Mill Creek Drive, Suite 320 Laguna Hills California 92653. Their contact information is is 949-334-6025. The dues are approximately $55 per month.